Brocade Tuxedo is another in a series of tux suits with a difference. This slim-fit black on black tux jacket features slim silk shawl lapels, slanted pockets, one-button fastening and single centre vent. It’s also finished with a midnight blue lining. 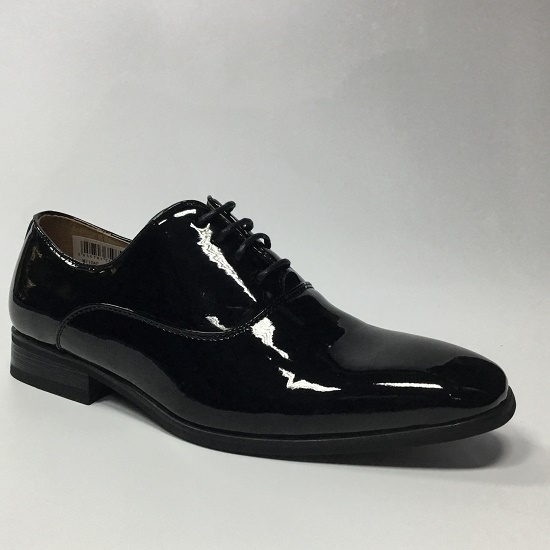 The trousers are slim fit Dylan flat fronts with a buckle and strap adjuster and narrow ends. 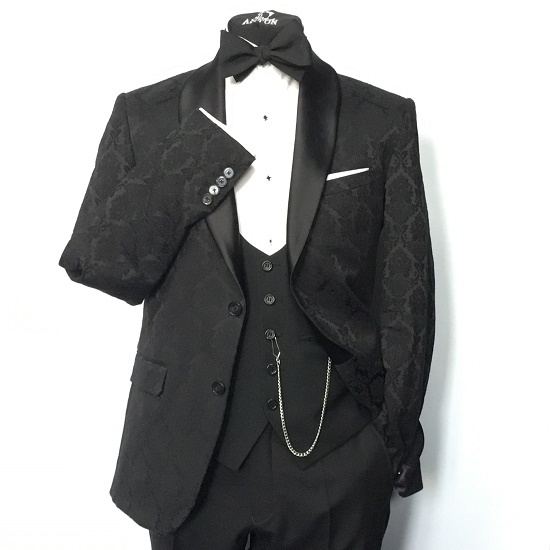 The Brocade Select tuxedo package is as shown - complete with dress shirt, studs, cufflinks, waistcoat, bow-tie and pocket square.